None of us wants to endure a vape gear that is of inferior quality or worse, a clone or a counterfeit. More importantly, we all don't wish to get burned by those low-quality products. If anything, we want high quality and decent vape tanks that suit our preferred vaping style. So what is the best tank for vaping? Well, out here you will certainly run into a multitude of great and awful vaping tanks. If you toss yourself into this crowded vaping market to find what suits, you are definitely going to be overwhelmed. Well, I don’t wish that to happen to you and that’s why I’ve rounded up a solid collection in which you will easily identify ​the one perfect for you. Whether you are a novice getting his feet went into vaping or a pro-vaper, our collection has you covered. Best of all, the list cuts across nearly all the different categories you know. But just before you check it out, here’s a short video dedicated to those who still want to learn a thing or two about tanks. Even though it’s only one-year-old and actually the first tank to come from Shenzhen Uwell Company, the Uwell Crown currently takes the lead in sub-ohm vaping. Significant effort was put to make its build quality second to none which is evident in the fact that it’s made of quartz glass and stainless steel. Its quartz glass tube can hold a maximum of 4ml of e-juice at any given time. At the very least, that amount is enough to last you an entire day before you think of refilling it again. Not to mention that the product’s vapor and flavor is nothing like what you have in the market right now. Just like every other ​clearomizer, it also comes equipped with three coils: a 0.5-ohm coil with a maximum rating of 80 watts, a 0.25 head with a maximum rating of 120 watts and 0.15 ohm head-Ni200 which comes already installed. Generally, it delivers a remarkable vape ​and can easily be regarded as one of the best vape tanks for flavor. Commonly termed by vapers as the ‘cloud beast’, the Smoke TFV8 is all you need if you relish seeing your room decorated with clouds. What sets it apart from others is its huge tank that has a capacity of 6ml, the powerful coils, and plenty of air slots. Don’t confuse it with the Smoke TFV4 because the latter has a reduced air hole, capacity, filling hole and heating air tube. TFV8 got a major boost both in size (increased air hole and internal airflow tube) and increased tank capacity, from 5ml to 6ml. Typical of every other ​good tanks, TFV8 comes with three huge coil heads, including an octuplet coil head. You can have your excellent and smooth vapor at 50 watts or if you wish 100 watts. You can as well rev it up to 108 watts, if you want to immerse yourself in massive clouds and if that’s not enough, take it up to 260 watts. Simply phenomenal, right? Thanks to its adjustable airflow, the nautilus mini remains the only one that elevated mouth to lung vaping to a whole new level. 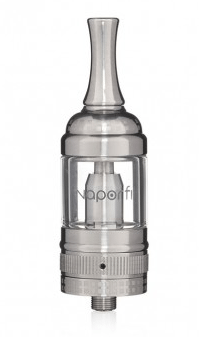 It set the pace for all other vape tanks that utilize that specified feature. In addition to that, it’s portable, making it the best pick for those looking to vape discreetly. The product features BVC coils, which on top of being long lasting, offer superior flavor and a remarkable amount of vapor. It is made of Pyrex glass and stainless steel which is really a big boost for its durability. 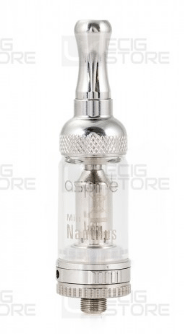 Maximum capacity is set at 2.0 ml, and 5.0ml for the full the size Nautilus. For its low price of $23, the Aspire Nautilus Mini makes a great buy especially for a beginner looking to find the best tank for vaping under $25. 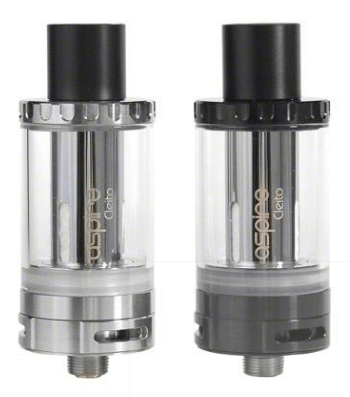 One remarkable thing about Aspire Cleito is its cutting edge coil technology. Aside from being longer, it takes up less space and so the airflow will face little resistance. This eventually results in large volumes of clouds and a flavor that’s more intense. Another great thing about this vape tank is the Cleito coil which is specially designed to get rid of common static chimney with the help its Clapton structure. Using either of its 0.2-ohm coil or the 0.4-ohm coil, each can release not only full but also flavorful vapor. 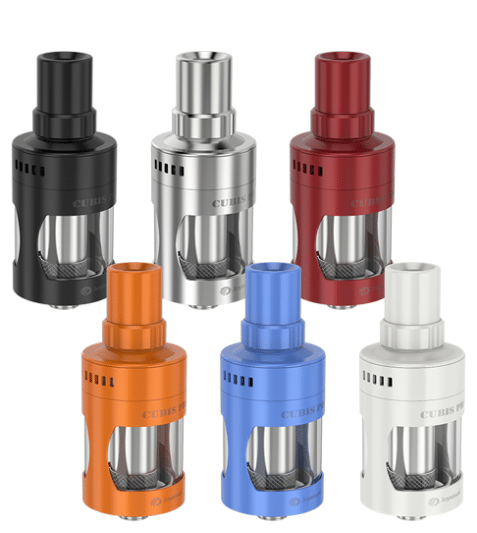 Cleito is made out of tough stainless steel and strong glass material which means it’s durable and thanks to its top fill set up, filling it has been made easier. It has a tank capacity of 3.5 ml. VaporFi is well known for developing high-quality vaping devices and this of course comes at an elevated cost but what’s more important is that they pack enough solid features to justify their pricing. VaporFi Rebel Tank may be old but with its 2.6-ohm dual coils, adjustable air flow system, and huge 4ml tank capacity, it still packs enough punch to compete with the best. In spite of having one of the best atomizer, the two coils still help towards strengthening this 1.3-ohm optimizer with the capacity to offer massive amounts of vapor. Presence of high ohms also implies that the vape will certainly turn out more flavorful. Another great feature I can’t miss to mention is the presence of an adjustable juice flow feature which is really helpful when you have e-fluids of varied viscosity. Also, if the head wears out, you can easily get a replacement. Vape tanks from Sense are slowly but surely turning into a sensation among vapors. Previous releases have been top on the vape market’s list and with the plus tank, nothing looks to be different. If what matters most to you is the flavor, then you’ve found the right pick. 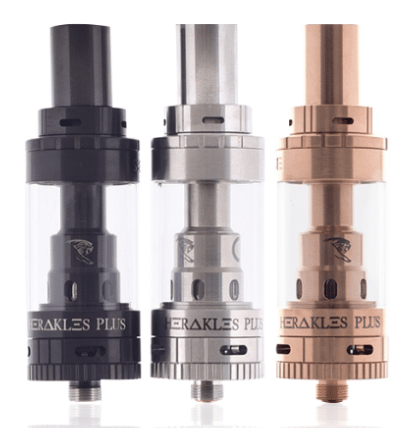 One remarkable feature about the plus tank is its new design which lets air to flow directly to the tank’s coil as opposed to utilizing an auxiliary airflow mechanism. What this does besides increasing efficiency and giving the flavor a boost is to keep heat-bleed at its lowest level. Add the Tri Parallel design of the coil and the efficiency shoots to a whole new level. It’s tank capacity is set at 3.6 ml. The tank makes use of a top filling system and on top of that, it comes already installed with a 0.4 ohm Kanthal coil and another stainless steel 0.2-ohm coil for replacement purposes. 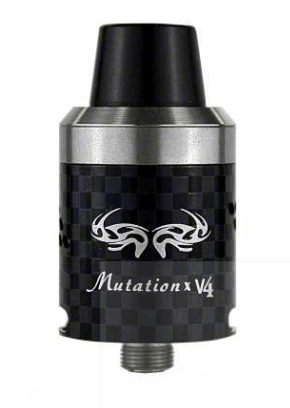 Every serious vaper knows about the RDA’s from the Mutation X series. Mutation x v4 RDA is a recent version perfect for cloud chasers. It comes in a new design that lets air hit it from underneath and besides that, its top cap has been redesigned to be more efficient while the bore drip tip has been made wider. Even though some people have moaned about this wideness, presence of the 510 adapter, which works unbelievably well, pretty much swallows up that issue. Also, it has single and dual coil options and a juice well that is 5mm deep. That’s deep enough to hold a reasonable amount of e-juice that can last you longer. What really makes it the ultimate pick for cloud chasing fans is that fact that at just 0.2 0-0.5 ohms, it’s able to deliver impressive clouds without heating up. Overall, it gives an excellent flavor, has numerous air flow options that can suit many builds, and best of all, it’s one of those inexpensive authentic RDAs you don’t come across often. The Cubis Pro tank from Joyetech has to be one of the best clearomizer to go for when one wants to have a mouth-to-lung vaping experience reminiscent of the old times. This is made possible by its two higher ohm coils- one is a 1-ohm stainless steel coil while the other a 1.5 ohm Clapton coil. The former is utilized in temperature control vaping while the latter boosts flavor. Its tank capacity is set at 3.5 ml which you can fill from the top. What’s good about its design is that it suits novices out to learn and squeeze all they can out of their new vaping experience. Besides, it greatly minimizes leaking. When you want to experience mouth to lung vaping, just turn down its airflow control. What’s more, you have a choice of 7 colors to pick from. Tired of your current device and want something you can rebuild and get more out of? Eleaf Lemo 2 RTA is here to save your day. It’s a sleek-looking device made to last longer as evident in the fact it’s made of Pyrex glass and stainless steel. What’s great about is that it comes with a standard 0.5 ohm which can deliver a remarkable amount of vapor that has not only a lovely flavor but also great throat hit. To experience the best from this RTA keep your resistance level at 0.5-ohm or higher. Also, avoid VG e-liquids that are highly viscous. Lemo 2 is a perfect fit for pro vapers because besides allowing for a single coil set-up, you can take that a notch higher to a dual coil set-up but that’s only if you are a seasoned vapor who knows your way around complex RTAs. Its tank’s capacity is set at 3.8 ml. If you aren’t into sub-ohm vaping, you are guaranteed to love this device as your preferred option. Kayfun v5 is a high-end vape tank built to high German standards. Even though it shares a few features like design patterns with its little brother, the Kayfun v3, more effort has been put to make it the better version. Right from the juice capacity to airflow to juice control and deck design. With this version, you actually have complete control over the liquid flow. 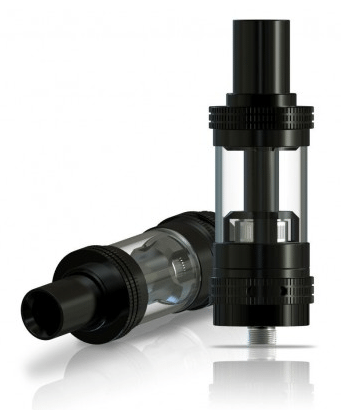 And once you close the liquid control, you can go ahead to fill its quartz glass 4 ml tank from the top. You also have the option of a stainless steel section if you want to do away with the pre-installed quartz tank. The tank can as well support different builds not so common in standard RTA configurations. Other amazing features featured in this RTA include the PEEK insulator (for longevity and safety reasons) and a POM-in lay drip tip (reduces overheating and potential spit-backs). More important to vapers is that this tank can accommodate not only mouth-to -lung vaping but also direct to lung vaping. 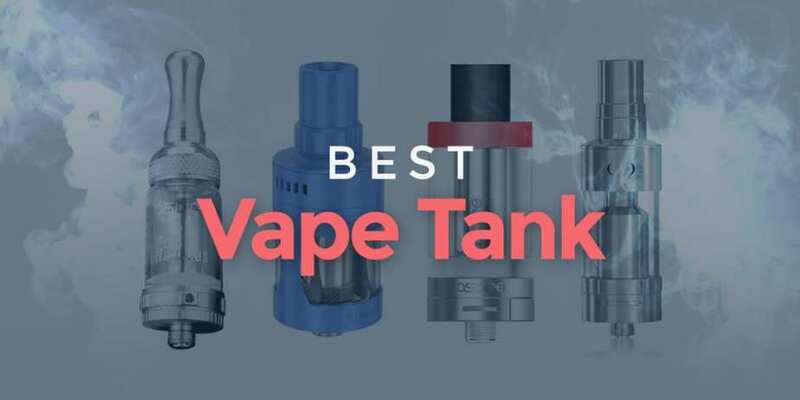 In our tank category, you can see that vape tanks fall into different categories. This can be a little confusing to those who aren’t pretty familiar with what each category brings. Of course they differ in a number of ways. So here’s a brief explanation of what to expect from each of those categories we mentioned. Sub ohm tanks are specially designed to deliver more clouds, a feature that makes them ideal for cloud chasers. The flavor delivered is also good but not as intense as what you will get from standard tanks. One common reason for this is its design which optimizes the flow of liquid so as to fully compensate the high temperatures resulting out of high wattage vaping. Should you subject your sub-ohm tank to standard wattage vaping, you will definitely be putting its atomizer at risk of flooding. Standards are pretty much the opposite of sub-ohm tanks. More emphasis has been put on the flavor part as opposed to cloud chasing. So those who are into flavor a lot will definitely find a standard tank more satisfying. Interesting to note is that if you attempt to use a standard tank for sub-ohm vaping, you will certainly end with a burnt wick and taste. An RBA is basically a rebuildable atomizer. What sets it apart from the rest is the fact that it doesn’t come complete. You have to get all those parts together (coils, ohm meters, wicks, and other components). If you are a beginner, you might want to avoid RBAs because they need some vaping experience and solid knowledge to set them up. An RDA is a type of rebuildable atomizer that puts more focus on the significant elements of an atomizer, which include the coil and wick. Others such as the liquid reservoir have been left out of its main focus. Once you've understood what an RDA is, it won't be difficult to figure what an RTA is. Most clear way to think about is simply an RDA tank put inside a tank. Basically, that's how they are structured. A small chamber has been put inside the tank, and deep inside, it resembles an RDA's deck only that it's now smaller. More often, RTA and RBA are used interchangeably. It’s pretty obvious that there are dozens of best vapor tanks to choose from and as you can see from what we have so far, what’s best for you is certainly what appeals to your taste and preference. Some of us prefer mouth to lung vaping while others direct to lung vaping. A good number of us are also into flavor, clouds and vapors with the best tank atomizers. Well, our list definitely has you covered. Of course price matters too and within our list, you have the option to pick a high-end vaping tank, a mid-range vaping tank or a lower priced vaping tank. If you aren’t really new to the best e cig tanks and brands available around the web so far, you will also realize that we left out some of the less popular brands. Brand reputation is so important and as we stated earlier, no one really wants to put up with clones or counterfeits. Also included in our list are rebuildable atomizer tanks and so care should be taken when selecting one especially if you are a beginner. But lucky for you, the two options we included on our list aren’t as complex as one might think and so whether you are a beginner or a pro vaper, you are free to try them out. Bottom line, sort through our short list to find the best vape tank that seems to match your vaping habits and budget regardless of the kind of mod you use or how you like your vape.